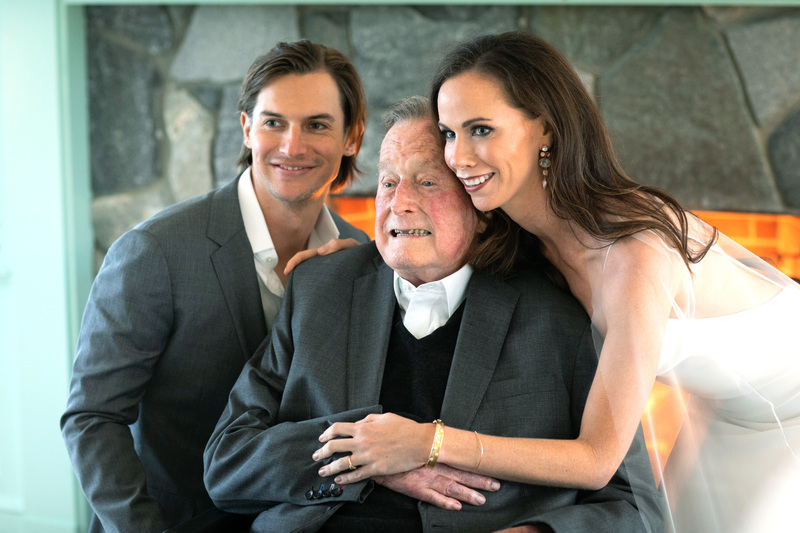 Jenna Bush Hager Shares Adorable Family Photos from Sister Barbara's Intimate Wedding - Integration Through Media ....! Jenna Bush Hager is offering a personal peek at her twin sister Barbara Bush‘s intimate nuptials. Less than a week after Barbara tied the knot with Craig Coyne on Oct. 7 at the Bush family compound in Kennebunkport, Maine, Jenna on Saturday took her Instagram followers behind the scenes of the special day. In one photo, Jenna and the beaming bride, both 36, embrace as their dad, former President George W. Bush, photobombs the picture with a mischievous look. Jenna captioned the silly moment, “Thought this was just a simple picture of a sisterly hug.” She added the hashtag #popsiclephotobomb, fondly using a nickname for the former president, 72. In a slideshow of snapshots, Jenna included a photo of her grandfather, former President George H.W. Bush sitting, glimpses of the flower girls (Jenna’s daughters Margaret “Mila” Laura, 5, and Poppy Louise, 3, and the groom’s 5-year-old niece Emma) wearing their floral crowns and a picture of Barbara standing in her chic Vera Wang gown. Some of my favorites from a beautiful weekend about love and family! “I’m crying 24 hours later … there were so many happy tears,” Jenna told her Today colleagues via phone on Monday.